The NHS estimates that approximately 5.4 million people in the UK are currently receiving some form of asthma treatment. We believe and have evidence to show there is more behind asthma than meets the eye. Have a look at the video on ‘Client’s Story’ tab page! Open minded and ready to work at resolving any health or wellness issues. What to expect from Asthma programme? Learning what you are eating is of paramount importance, and features heavily within the training programmes. Many foods that are advertised as healthy may in fact be the cause of your health or wellness problems. Using our Ten Approach (Training , Education, Nutrition), our training programmes will totally re-educate your mind, your body and your palate, by showing you what foods truly will provide you with the healthy body and mind you deserve. Another major misnomer is the way you engage in physical activity and it’s outcome. We get amazing results with a very short exercise routine (10-30 minutes daily) that most age groups and genders can undertake. Q: Asthma Symptoms. What is Asthma? A: Asthma occurs when the airways become irritated resulting in difficult breathing resulting into an asthma attack. Current medical opinions would say a person is more likely to develop asthma if there is a family history of asthma, eczema and allergies. Other significant factors that may contribute to the rise in the number of asthmatics include change of diet, housing, hygienic environment and environmental pollution. Q: Asthma Causes. What can trigger Asthma? A: If a person with asthma comes into contact with an asthma trigger, for example cat hair, the airways will begin to constrict, as they become narrower they can also begin to swell. Some asthmatics also produce excess mucus when exposed to asthma triggers. Leading to even more constriction within the airways. Q: Asthma Risk Factors. Who is at risk? A: The NHS estimate that approximately 5.4 million people are currently receiving some form of asthma treatment. This correlates to 1 adult in every 12, and 1 child in every 11 requiring treatment for asthma. 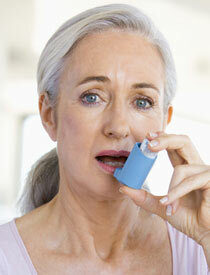 Currently asthma is more prevalent in women than men. Despite many research projects being carried out, the cause of asthma is still not fully understood, however the NHS believe that there is an increased risk of developing asthma if your parents are asthmatic. Q: Asthma Attacks. How do they happen? A: Asthma attacks occur when the airways become irritated resulting in difficulty breathing. As the airways become more constricted and breathing becomes difficult. Q: How to control Asthma? A: If you have Asthma, avoid smoking cigarettes, processed foods or consuming products of a negative nature. This can only make your situation worse. We use mind strengthening techniques to help relax and control asthma attacks in conjunction with our programme. A:If you have asthma, you should exercise daily. And work towards a vigorous training programme that you can enjoy. Weight training, Running, badminton, squash, martial arts, dance etc. If you have asthma, training 2-3 times a week isn’t going to cut it. Everyday is the only way. You need to get a sweat on. A: Changing your diet to an extremely healthy diet is fundamental. Avoid consuming processed foods, processed drinks, GMO’s, drugs and alcohol. A: People with asthma need to be aware of their own personal triggers, for example pet hair, pollutants, and where possible to avoid contact with them. If this is unavoidable they need to have appropriate strategies in place to deal with a potential asthma attack. Untreated asthma can be potentially life threatening. We understand that clients care and attention is pivotal in personal development and we treat all of our clients as individuals. Even though having poor health and wellness is a worldwide common problem, no one client is the same and we have trained experts that listen to you and advise you on the best ways to help you work with your personal development. We offer different health and wellness procedures for you to choose from. The varying time options are appropriate for different levels of personal development and they will be discussed at length in your consultation.